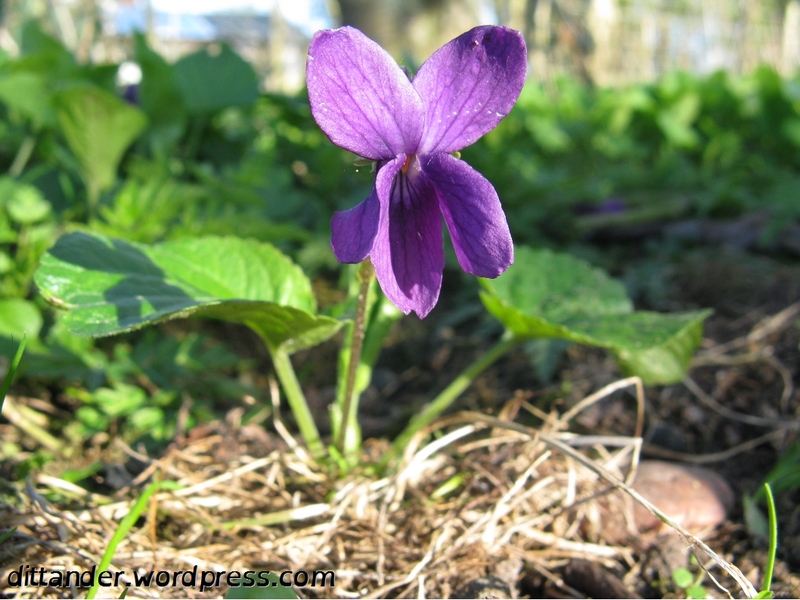 Violet flowers first sprung up in London well over a month ago, and have doggedly persisted ever since, refusing to accept that spring is late in arriving. Frost hardy to -7°C, the unique colouration of their flowers make them easy to spot at this time of year amongst the sparsely populated semi-shade of hedgerow and woodland margins. For most of the year, the low-lying heart shaped leaves blend into their surroundings unnoticed, although those with keen eyes can spot the much brighter green of pale new leaves as they gradually unfurl to welcome the spring. At this stage of growth they make a mild addition to salads. Unsurprisingly though it is the flowers that attract most attention, with a sweet fragrance that has a long history of use in perfumes, sweets and even liqueurs. 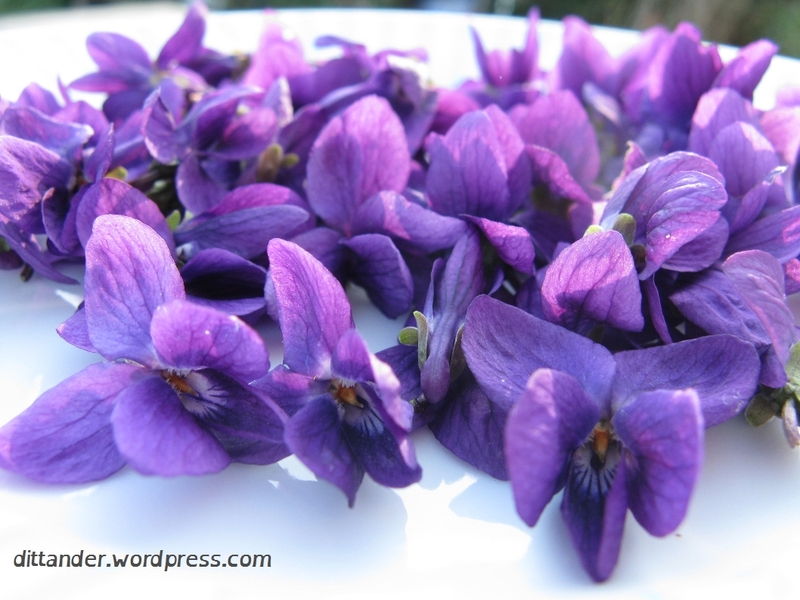 The simplest way to capture the singular scent and flavour of sweet violets is to make a syrup, which can then be added to cakes, drinks and sauces. It is always a great pleasure to gather handfuls of these little flowers, the intensity of their colours emphasised by their coming together. 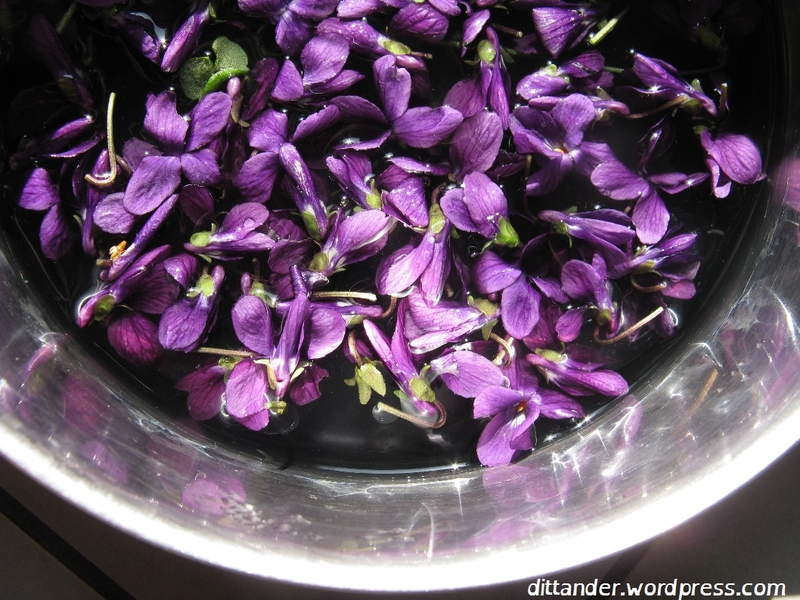 However, by simply adding a few drops of lemon juice the syrup is magically transformed into a deeper, redder purple. This is due to the antioxidant anthocyanins, which change colour depending on pH. Add one drop at a time so it doesn’t become too pink!